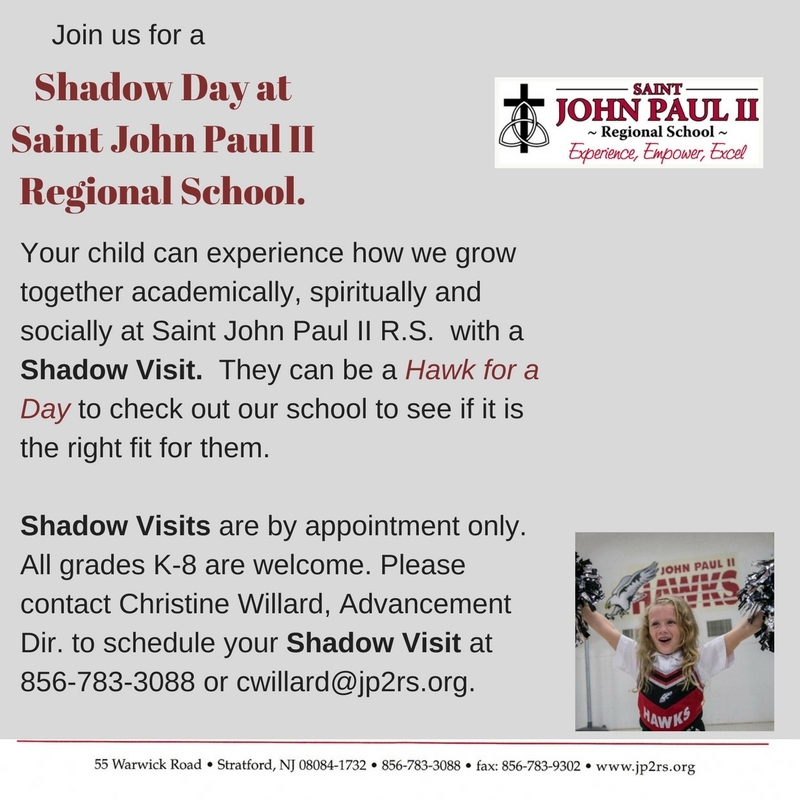 St. John Paul II offers a nurturing early childhood education program for three-year old and four-year old children with a focus on social skills, independence and Kindergarten readiness. Preschoolers at St. John Paul II experience the benefits of a balanced environment, spending the majority of the day in their classrooms yet interacting with the school at-large and their sixth, seventh and eighth grade “buddies” for Friday mass and special activities throughout the year. What sets our Preschool Program Apart? Monday – Friday 8:30 a.m. to 2:30 p.m.